NFL season starts officially tomorrow! Here in Philadelphia, the vibe is more jazzed up than ever. I’m not sure Philly will ever come off the high that hit the city last year with the Philadelphia Eagles big Super Bowl win. As an Eagles fan, it is definitely a time I’ll never forget. The Eagles play tomorrow night in the NFL season opener and pretty much everyone I know will be glued to the game. Besides being big Eagles fans, one of the things we love about football season is the excuse it gives to get together with friends. 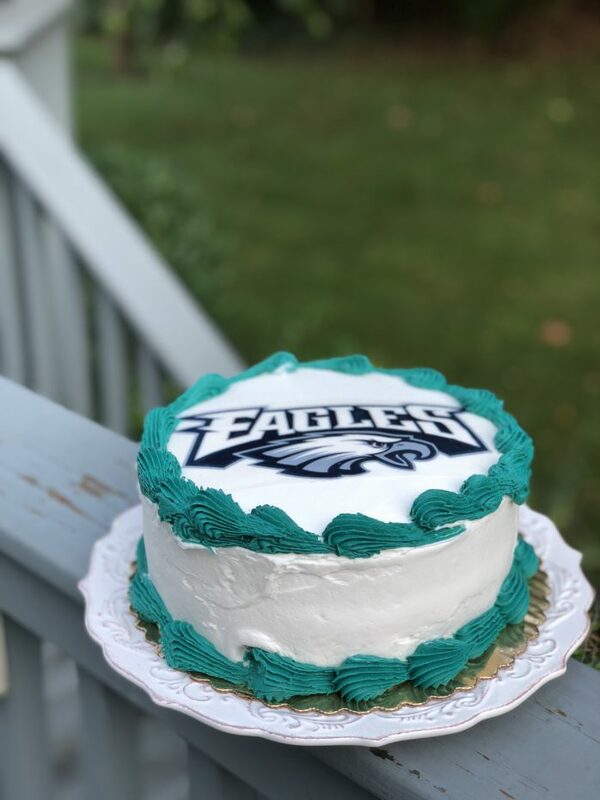 We’re regular Sunday afternoon football partiers – we host a lot of afternoon Eagles gatherings at our house and also go to neighbors houses pretty often. We’re pretty much always watching the game in some kind of social setting. 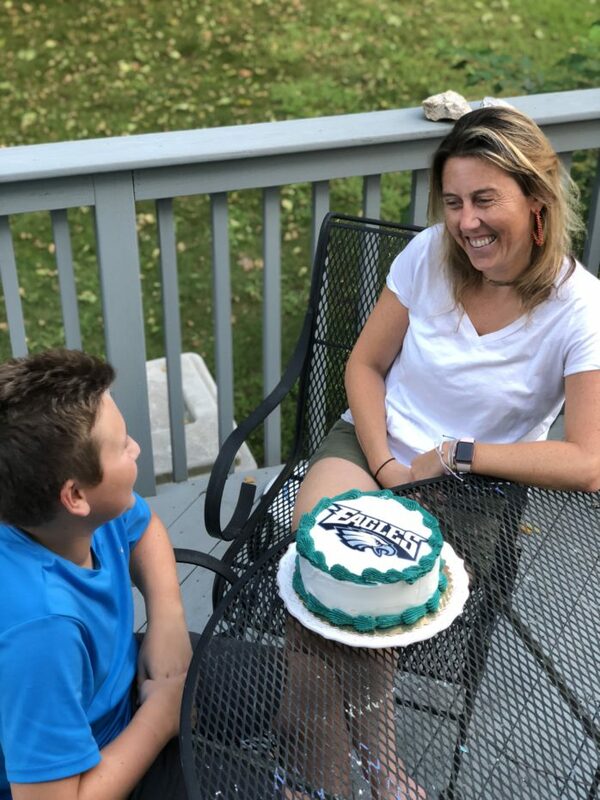 So in honor of tomorrow night’s game, I picked up an officially licensed NFL Philadelphia Eagles cake to celebrate game day. We picked this cutie up at our local grocery store bakery. 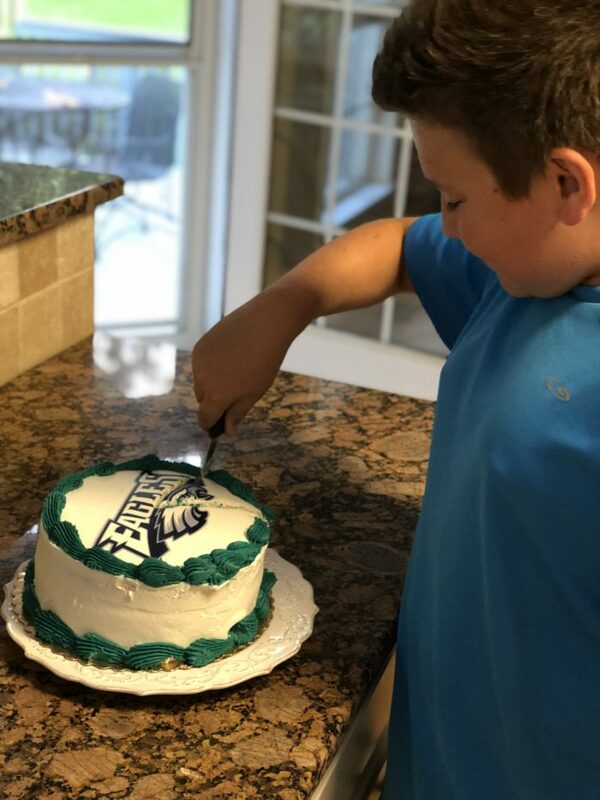 So if you aren’t an Eagles fan, that’s ok because you can get your officially licensed NFL cakes at your local bakery! Visit www.cakes.com to find the nearest location to you. Go Eagles! Disclaimer: This has been a sponsored post by DecoPac. As always, all thoughts and opinions are my own.